An amazing baked brie that won't heat up the kitchen | Food Network Inspired! This Baked Brie on the Grill recipe comes courtesy of last month’s issue of Food Network Magazine and couldn’t be easier. 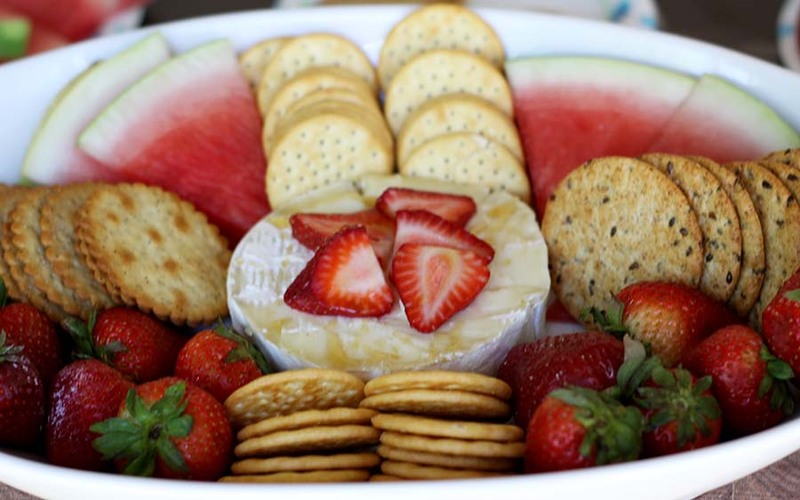 Plus it’s a great way to enjoy a baked Brie without heating up the kitchen at all ~ which is always a goal of mine in the summer! 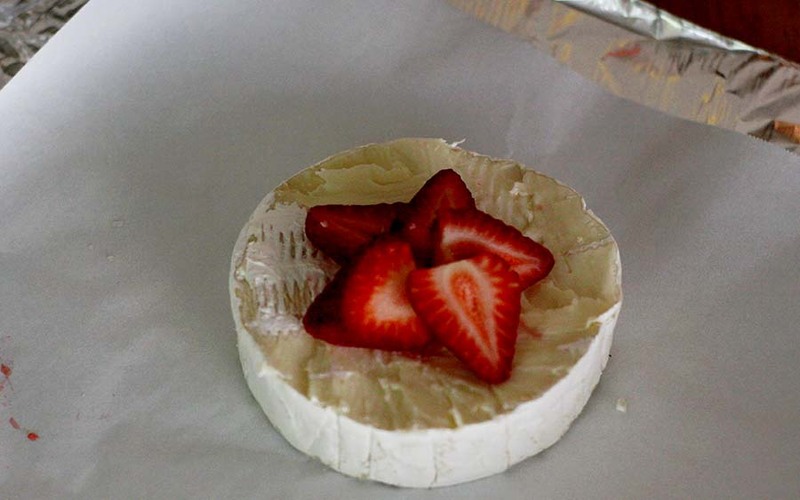 I always feel so darn fancy any time I have any sort of Brie — it’s not like it’s so hard to get, they sell it at my local Walmart, but I always feel like I’m headed straight to my summer house in the Hamptons whenever I dip into a baked Brie. So I hope you feel fancypants with this one too, even if your view this summer is more “hot mess toytown” than “beautiful Hamptons oceanviews.” “Fancypants” isn’t geographically dependent, you know :). 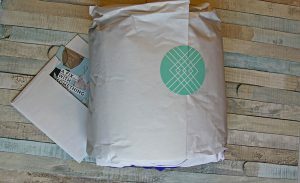 First up, grab your wheel of Brie ~ I went with the President brand from Walmart because I’ve always gotten great results with them. Slice off just the top of the rind, it’s just fine to leave the rest of the rind on there. If you want to get extra super duper fancy, add some toppings here — I went with some fresh sliced strawberries. Cover it tightly in foil and pop it on the grill. I started it at low heat on the gas grill because I was worried about the bottom scorching but it was just taking forever to melt and patience isn’t one of my strong suits when I’m waiting on a delicious appetizer. So I cranked it up to medium and it took about 10 minutes for the Brie to be the right meltiness I was looking for like a traditional Baked Brie in the oven. 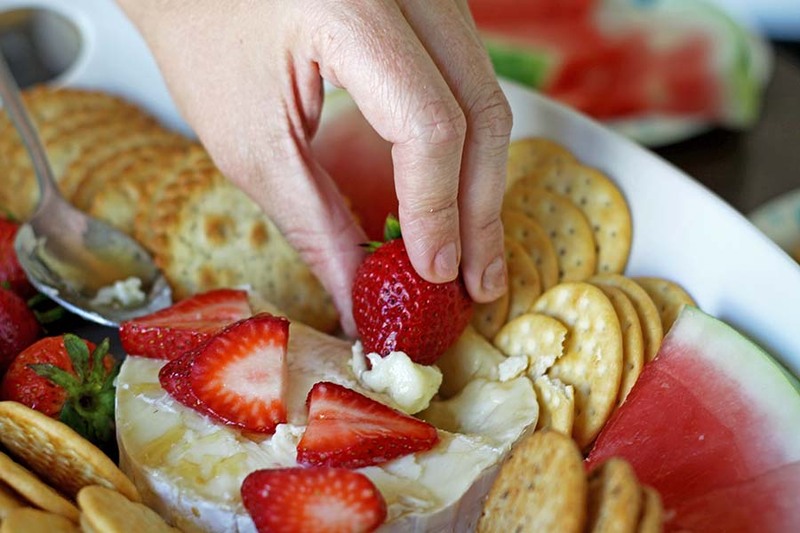 Take the Brie off the grill and it’s ready to serve right away. 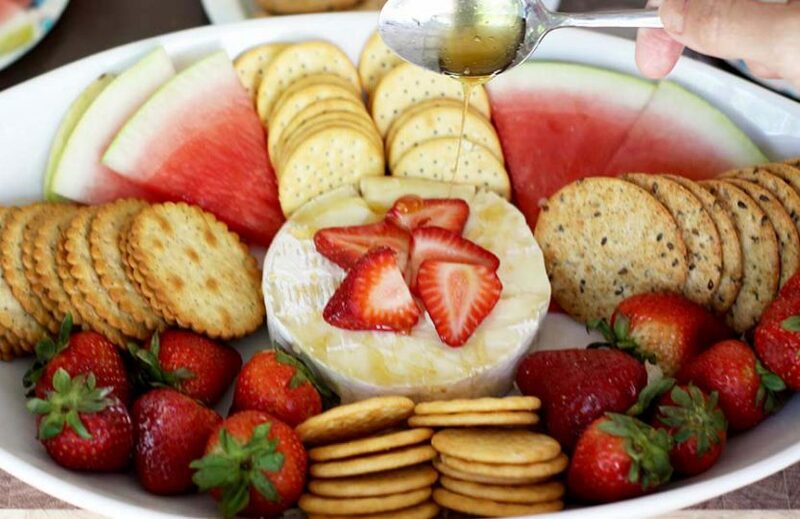 I added a drizzle of honey and served it with some crackers and fruit and it was a hit! Any other dippers you guys love with a baked Brie? I’d love to hear in the comments! 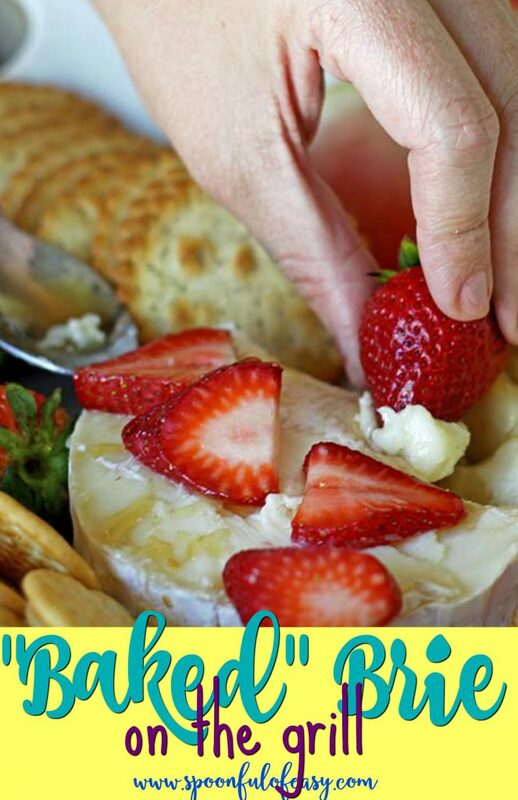 A creamy, melty baked brie that heats up on the grill so it won't heat up your kitchen! Yes, thank you for cohosting! Thanks so much for stopping by!